Joanne C. (Kelly) Coursey, of West Hartford, beloved wife of the late Jerry J. Coursey, Jr., passed away peacefully at home surrounded by her family on Saturday, March 10, 2018. Ms. Coursey was born in Omaha, Nebraska on October 29, 1929 and was the daughter of Martin M. and Lucetta (Tully) Kelly. As a child, Joanne was in poor health and doctors encouraged her parents to move the family west towards more favorable climate. The Kelly’s first moved briefly to Lincoln, Nebraska, where the family’s second child, Mary Jeanine, was born and promptly nicknamed “NeNe” by her older sister. Following a similarly brief stay in Salt Lake City, Utah, the family settled in Denver, Colorado. After earning her associates degree at Denver’s Loretto Heights College, Joanne worked for two years for Braniff Airways. In 1951, she married fellow Denver native Jerry J. “Corky” Coursey, Jr., a U.S. Air Force lieutenant and recent graduate of Denver’s Regis College. Together they raised five boys who were born over 11 years, from 1952 to 1963. The growing Coursey family lived on Ramey Air Force Base in Puerto Rico, back in Denver, then in Long Beach, CA before moving to Cliffmore Road in West Hartford in the summer of 1966. Joanne was a supportive partner to Jerry and their agency, The Coursey Agency, as well as a mentor to many general agent’s spouses in the Connecticut Mutual Life family for 30 years. After raising her children and maintaining a warm and welcoming home, Joanne decided that it was time to do something for herself. She returned to college in 1976 and continued her education at St. Joseph College in West Hartford. She majored in Women’s Studies and graduated with Highest Honors in 1985. An article about battered women in Ms. Magazine moved her to help victims of domestic violence. Together with a group of female lawyers, social workers and activists, she helped establish Hartford Interval House, a non-profit organization that offers free services to victims of domestic violence. Interval House opened Hartford’s first “safe house” – a protected shelter in a confidential location — for the female victims of spousal abuse. Since its inception in 1977, over 225,000 women have benefitted from Interval House’s wide array of programs and services. Joanne was a proud Founding Board Member of Interval House, serving on the board from 1977 to 1991 and continued to volunteer for the organization as a tireless volunteer and fundraiser for the next 20 years. In 1998, Joanne received a Master’s in Counseling from St. Joseph College, which enabled her to provide free counseling services to the women who sought help from Interval House. 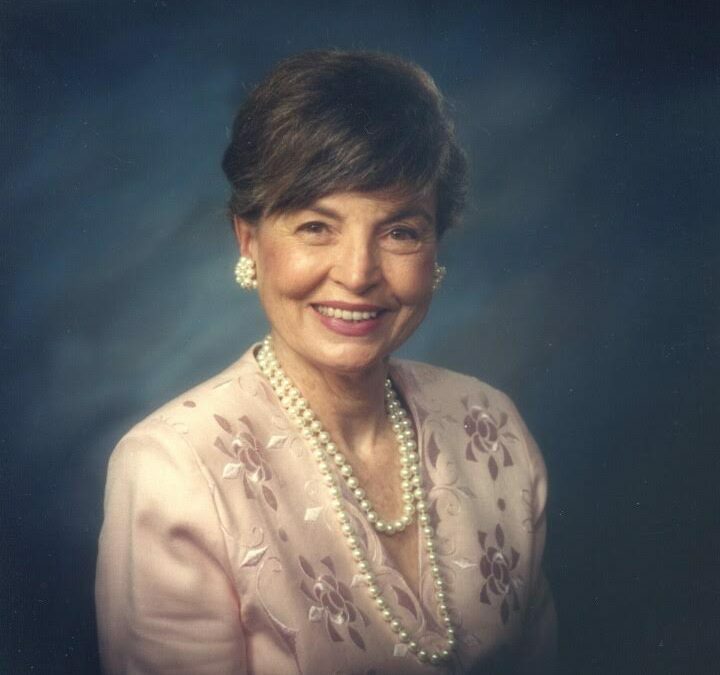 Joanne was predeceased by her parents, sister Jeanine, and her husband of 55 years, Corky. Ms. Coursey is survived by her five sons: Jerry J. Coursey III and his wife Mary Griffin of Silver Spring, MD; Michael J. Coursey of Bethesda, MD; Daniel P. Coursey of Orleans, MA; Martin J. Coursey and his wife Nancy of West Hartford, CT; and Charles T. Coursey and his wife Mary of West Hartford, CT. She is also survived by three nieces and three nephews. Affectionately called “Joanie” by her family, she leaves behind fourteen loving grandchildren; Connor and Ian Coursey of Silver Spring, MD; Michael Coursey, Jr. of Los Angeles, CA and Julia Coursey of Tuscaloosa, AL; Tora Coursey of Boston, MA; Kathryn Coursey of Hartford, CT, Sheila Coursey of Ann Arbor, MI, Ryan and Taylor Coursey of West Hartford, CT; and Charlie Coursey of Brooklyn, NY, Annie Coursey of Boston, MA, Rosie Coursey of New York, NY, and Clare and Ned Coursey of West Hartford, CT. The Coursey Family would also like to express their deepest appreciation to Joanne’s caring and compassionate aides, Karen, Patricia, Barbara, Yola and Georgia, who helped allow Joanne to stay at her home and make her last years so comfortable. A Mass of Christian Burial will be celebrated on Monday, March 19, at 10 AM in St. Patrick-St. Anthony Church, 285 Church Street, Hartford. Burial will be private. Calling hours are Sunday, March 18 from 4-7 PM at the Molloy Funeral Home, 906 Farmington Ave., West Hartford. Online expressions of sympathy may be made at www.molloyfuneralhome.com. The family requests that, in lieu of flowers, donations be made to the “Joanne K. (’85) (M’98) and Jerry J. Coursey, Jr. Scholarship Fund” (mail to: University of Saint Joseph, 1678 Asylum Avenue, West Hartford, CT 06117) and Hartford Interval House (mail to: Hartford Interval House, P.O. Box 340207, Hartford, CT 06134-0207).